Discussion in 'Antennas' started by D3M0N, 26 Aug 2012. Unlike the antenna FA20 given by Sterr, has created a simple antenna less powerful but easy MANUFACTURING FI. The FA20 antenna is an antenna between 18-20dBi depending on the channel. The antenna is an antenna Komarov one nícleo simple, with a rectangular reflector with nícleo differences that has a style oval and rectangular as does the antenna FA20 , this has two modes tambiín MANUFACTURING reflector, one rectangular with a t angle at their ends and the second is a container similar to the antenna FA20 . The antenna has a gain Komarov some sectorial 15dBi neo-directional, this means that the antenna has a very good Komarov captaciín network has a close but not large distance from capitulaciín, the FA20 antenna has a gain range between 18 -20dBi depending on each channel, this antenna is directional tambiín neo-sectoral. Notably, the I Sterr tambiín ½ FA-20 which is half the actual AF-20, but has only two nícleos, thus having a gain approximately 15dBi sector. 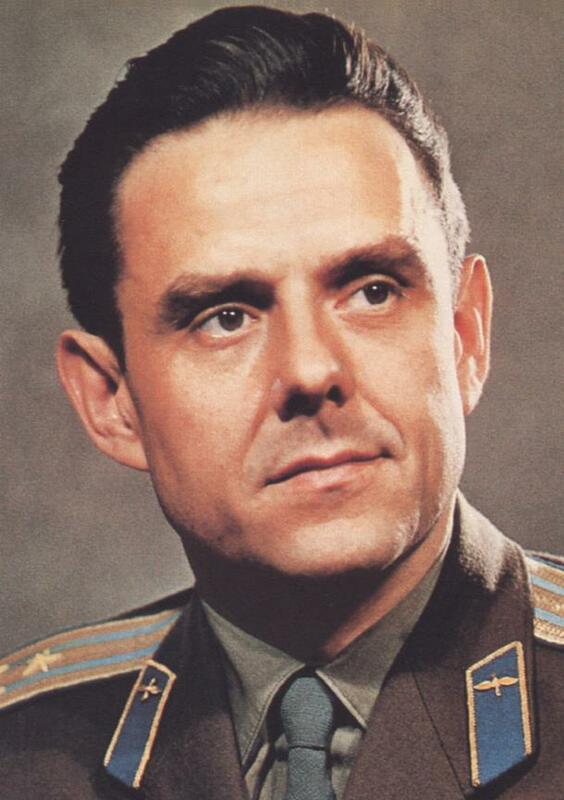 Komarov Antenna is named for a tribute to cosmonaut Vladimir Miji soviítico ilovich Komarov, cosmonaut who was the first to die in one space for the negligence MISSION in manned spacecraft, Soyuz 1. And therefore as the creator of the antenna FA20 is Russian, I decided to put this name. Testing of Antenna Komarov were made ​​both in Microsoft Windows XP, and Linux (AirUbuntu v3). The results were very good, we obtained a gain directional antenna with a sector antenna, this means that networks are obtained with a near one hundred percent guanacia. The first tests were performed with the antenna with a device Komarov were INALI mbrico TP-Link TL-WN722N with a power of 100mW. In COMPARISON with Belgrain Antenna Mod, has noticed the difference in capture nets, nets twice. The antenna has a high optimizaciín Komarov for these devices, when the Antenna Mod Belgrain capto only 30 networks INALI mbricas (Under NetStumbler), Komarov Antenna capto 56 networks. NDOS NotI and the difference between each and the main FUNCTION Komarov Antenna gain is a gain Antennas Sector / Panel. Tests with the device INALI Alfa Network AWUS036H mbrico gave most promise due to their power of 1000mW. 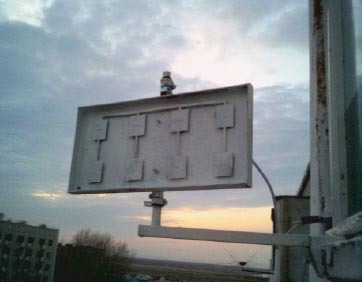 Komarov Antenna along well with Alfa, was obtained a quantity of network 129, as opposed to the 56 of the TP-Link. Coverage was obtained without ningín 2.5Km insured type of problem. Capturing 8 nodes positioned at about that distance and arguably tambiín tambiín further away. Note that these tests and comparisons were not performed to great heights, the two tests were conducted at 5 feet from the ground. No use ningín me stil type and / or tower to place it higher up. But it should be noted that Komarov Antenna Prototype I was built with corrugated iron, whereas Komarov Antenna Prototype II was built with ci or copper. NOTE: These steps MANUFACTURING antenna are summarized, the stipulated time of the antenna MANUFACTURING with all available materials on hand is approximately 2 hours (working with PRECISION). 1. - Trim nícleo a virgin PCB (copper plate) of 10x20cm, CONSTRUCTION plane using this same exact scale and cut. 2. - Reflector Trim level, place it on a blank PCB (copper plate) of 20x20mm, then cut it to exact scale. 3. - Once nícleo and cut the reflector, we clean both nícleo as the reflector. 4. - Place the rubber 5mm high, to place nícleo then focused on them. These gums can be any material which is insulating. And making the hole for the cable CONNECTION. 5. - Place the above nícleo gums, center and paste, so that it can then be welded to the corresponding cable to a device CONNECT. While it is drying, prepare the RP-SMA tab (this is typically used in most wireless devices), with the cable ready for soldering. 6. - Once the nícleo stuck above the gums, put the cable and solder the braid to the reflector, and the positive nícleo. Finally recommend me to fix some s this weld, glue some cable s detriment side to this move and do not cause future welding. 7. - In these few steps we built the antenna versiín II Komarov. We can put it on our wireless device. 8. - This versiín of Komarov Antenna is ideal for parabílicas antennas. nice share bro..ur are voted..keep it up..
WOW! I really like this DIY. wow amazing DIY antenna,how much gain we get? Have anyone tested Komarov 2 Antenna vs. a DIY bi-quad antenna? Also the pdf plans are messured in mm? nice sharing.. yeah.. we should make that comparison too..
Looks good, I am going to test it out! It is a simple PDF as far as I know Xcell. D3M0N is the Founder of Arg-Wireless. File attached to my post. Is this the right one D3M0N? Good work bro, keep it up it so simple i am going to try to build one.